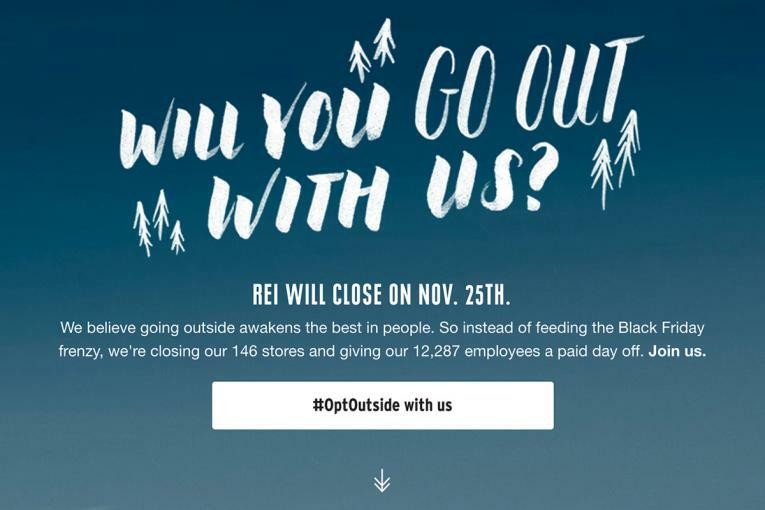 This year, $2.4 billion outdoor lifestyle retailer and co-op REI is once again closing its 149 stores on Black Friday for the return of its celebrated "#OptOutside" program. But now, with the backing of a slew of official partners, the company aims to make the program a new post-Thanksgiving tradition. Last year, REI made marketing history when it decided to suspend its retail activity --including online sales -- on the most popular shopping day of the year while continuing to pay its more than 12,000 employees so they can have a day to enjoy the outdoors. 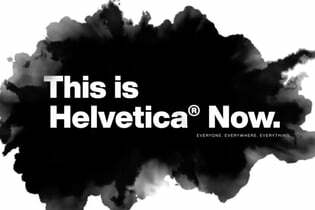 The idea, supported by advertising and marketing fromVenables Bell & Partners, Starcom Mediavest Group and Edelman, went on to win the Titanium Grand Prix at Cannes in June. 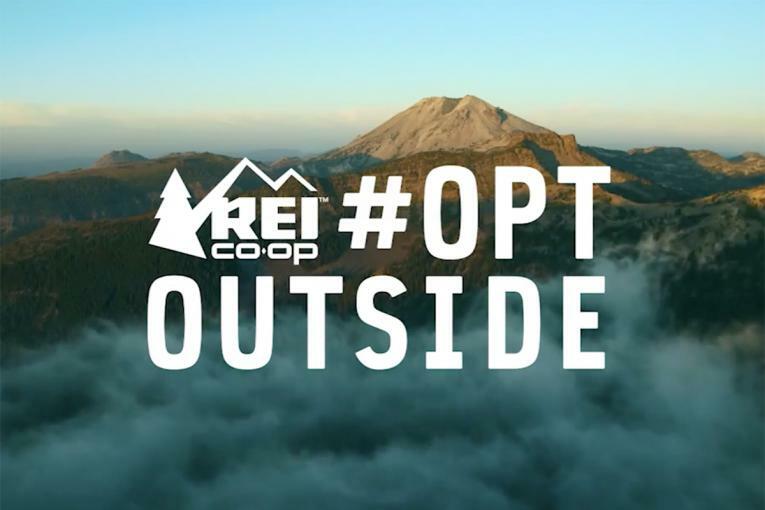 For 2016, more than 275 national and local organizations -- including a handful of brands --have officially teamed with REI to back the "Opt Outside" movement. 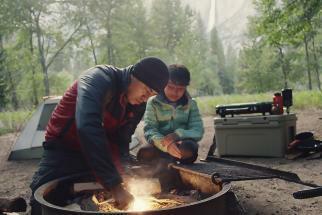 "We're doing our darndest to start a new tradition," said REI Chief Creative Officer Ben Steele. "We really want people thinking about the Friday after Thanksgiving differently." Last year, after REI had announced its Black Friday plans, Mr. Steele said a number of others, including outdoor-related brands and organizations decided to join in organically. 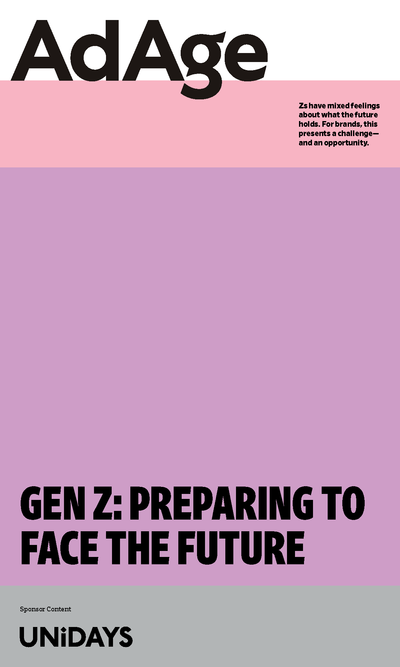 This year, there was a concerted push to bring more, relevant partners in, in an effort to bring more scale to the movement. Among its partners are state and national parks, schools and corporate partners such as Subaru, Google, Meetup, Upworthy and a host of outdoor brands such as Burton, Keen, Yeti and Prana. Subaru, for example, will be dispatching a fleet of cars to take shelter pets out of their cages for romps in the wilderness. It's also sending shuttles to New York City to take pet parents and their pooches into the great outdoors. The pairing came naturally, as both REI and Subaru are sponsors of the National Park Foundation and the NPS Centennial. "The moment we announced our decision last year, people who build their lives around the outdoors really embraced the idea of reclaiming Black Friday," said REI CEO Jerry Stritzke in a statement. "It took on a life of its own and became about much more than REI. #OptOutside should be a platform for the nonprofits and public servants who are on the front lines of the outdoor community That's why, from today onward, we're going to lift them up as the official spokespeople for #OptOutside." 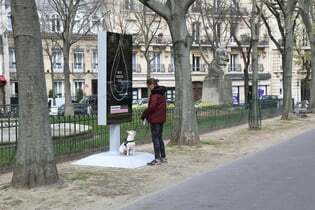 2015 saw 1.4 million people participate, and "this year, we wanted to figure out how can we get more people outside on that day," Mr. Steele said. "So we really aligned ourselves with organizations that share our values to help people overcome the barriers to getting out." As part of this year's effort, REI has debuted an outdoor activity finder at REI.com/opt-outside so that shopping abstainers can easily find nearby trails and outdoor activities to participate in. 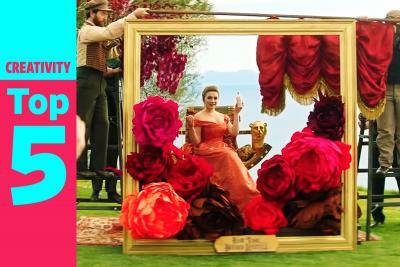 There's also a social component through which OptOutsiders can ask their friends, "Will you go out with me?" in an effort to get them outdoors. 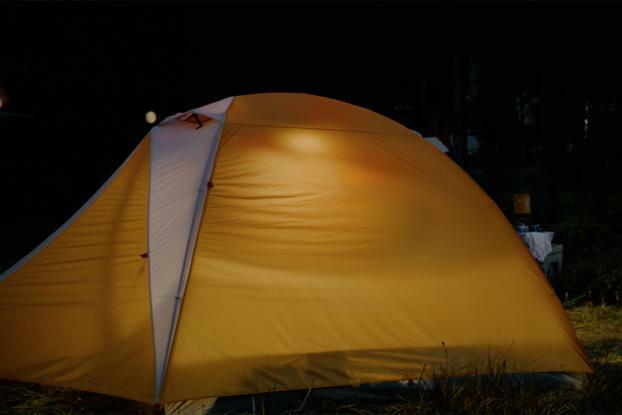 To get the message out, REI's in-house creative team worked with Portland, Oregon-based creative studio Juliet Zulu on films including a funny, poetic ad (above) that juxtaposes the sounds of Black Friday madness with a quiet shot of a tent -- and then gradually pulls out to reveal a gorgeous woodsy setting along a river, which turns out to be dotted with a multitude of lights from other campers who've decided to enjoy their Fridays outdoors. Another joyous, anthemic ad on the REI site shows OptOutsiders frolicking in on trails, in rivers, on the snow, beckoning others to join with the #OptOutside "Will you go out with me?" poster. 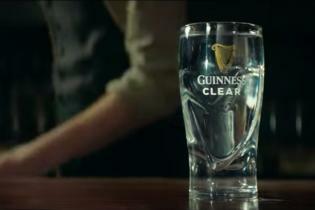 The brand will also be running a print ad in 12 newspapers ahead of the day. "We know the average American spends 90 percent of time indoors," said Mr. Steele. "That's not good for people, especially at this moment where we are in society. Stepping outside, reflecting, seeing our most amazing natural wonders -- that's good for everybody." 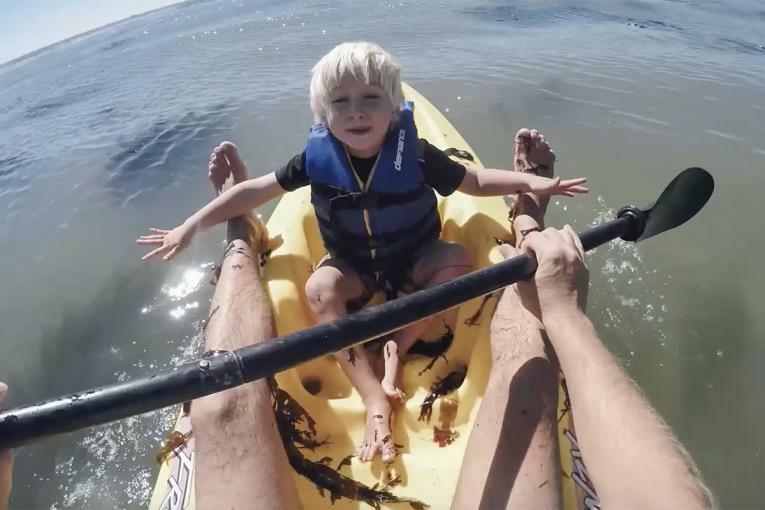 REI's Chief Creative Officer Ben Steele will be speaking more about the campaign and its future next week at Ad Age's Brand Summit in L.A.